Fire is arguably the most dangerous thing humans have come to experience in all of their lives. It is quick in destroying valuable property and the aftermath is quite paralyzing to the surviving victims. After reviewing fire records in Canada, experts estimated the loss brought about by fire to be at around $11 billion yearly. It is quite surprising that such a record is existent during these times considering how far innovation has come. And this is where CASA – Canadian Automatic Sprinkler Association comes in – to lessen the impact of fire outbreaks using its initiatives. The focus of the campaign is to reduce the great losses incurred during fire outbreaks and the only way they can achieve this motive is by engaging everyone to be a part of their operation. The association believes that through this campaign they will be able to mobilize enough Canadians to utilize modernized sprinkler systems, which will, in turn, reduce the number of fire tragedies happening nationally. From what we have gathered up to now, there is simply no other form of fire safety that is measurable to the modern sprinkler systems available. These systems offer safety to all types of buildings – recreational, industrial, commercial as well as residential. When you install one in either of the aforementioned buildings you will certainly avoid falling prey to the vicious damages of fire and its deadly, life-changing consequences. Small as these devices are, they are capable of controlling the spread of toxic heat, smoke, and flames by spraying water around the burning area to prevent the fire from getting out of hand. These unique devices will go off when a certain amount of pressure and heat rises in the room causing them to sprinkle water or to release nitrogen in the surrounding areas. At Steadfast, we will gladly deliver to you any of the two sprinkler systems, dry or wet, you may desire in your building. 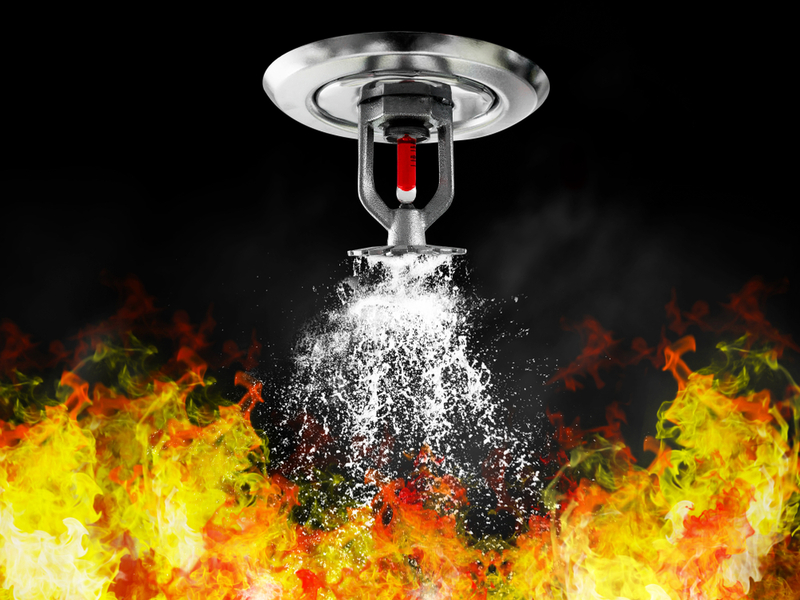 Whichever of the sprinklers you decide upon, you are fully guaranteed reliable fire protection Toronto because both systems will satisfactorily extinguish any arising fires in your building in the nick of time. At Steadfast, we commit ourselves to provide our customers with the right tools for fire protection, as well as repair of those old, damaged systems so that you can feel safe and secure when a fire arises. Our team of experts is always dedicated to helping you anytime you desire to have a retrofit on your present systems or when you want installations carried out. They are available 24/7 to tend to your needs any time you want a satisfactory service carried out in your building. Get in touch with Steadfast as soon as you can.